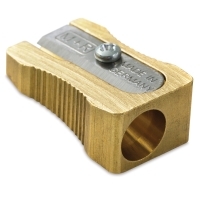 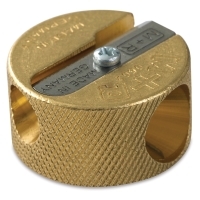 Built for heavy-duty use, these brass pencil sharpeners from Mobius & Ruppert are virtually unbreakable. Available in single-hole or double-hole Grenade and Wedge models, they're very popular with design professionals and artists. 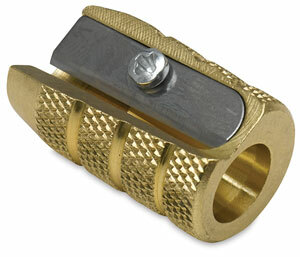 ® Mobius & Ruppert is a registered trademark.